With Diwali / Deepavali falling on the 5th of November, I thought we should attempt to make a sweet for the Indian Cooking Challenge this month. Deepavali is all about sharing the good time with family and friends. As everybody, I have loads of memories of cooking with Amma, preparing for the day. We used to make many varieties of sweets and savories that are distributed to neighbours and we eat and eat till we see the end of it! While I was discussing with Alka, she suggested I can make Varo. She said it is a Sindhi Special made for the Diwali day. She said though her mom makes, she is yet to post it on her blog, she was able to post it right on spot and directed me to couple of other sites that showcase this special dish. When I hopped over to read, I realized it was the Chikki or the Peanut Brittle that we make at home. Though I don’t remember Amma ever making it with Dry fruits. 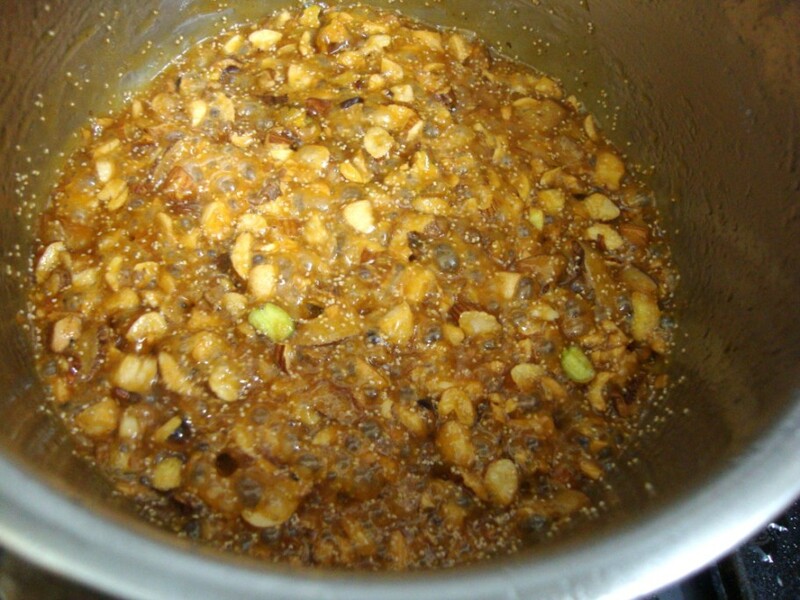 So for this month’s challenge let’s look into making a Varo a traditional Sindhi recipe. 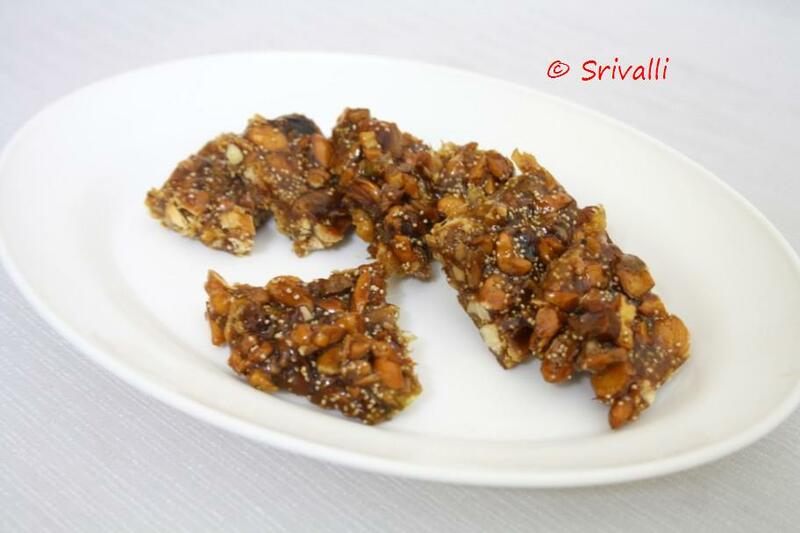 In South India Chikki made with Peanut or various nuts with Jaggary is very famous. 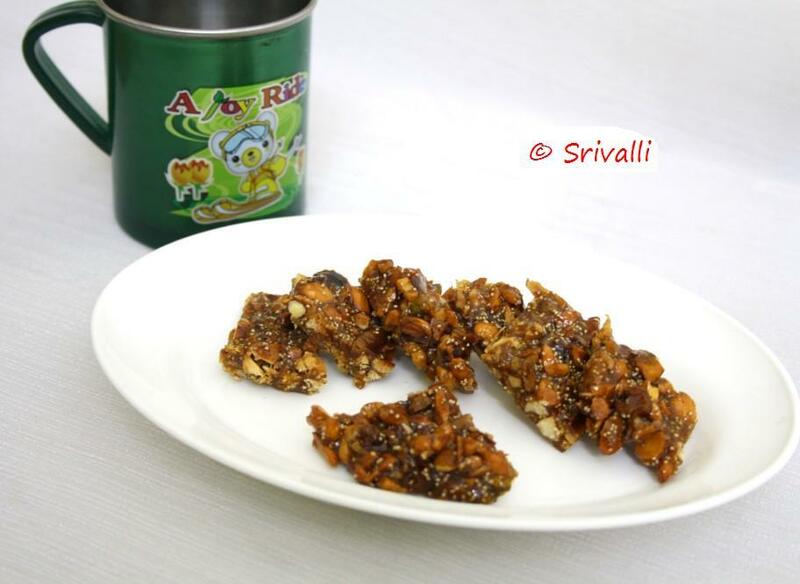 The consistency of the jaggary is paramount in making Chikki. Just like that making with sugar is also going to be tough. I went through both the sites referred and adapted together, so I am listing out both the sources. Before you start make sure you have a greased rolling board, greased knife and a bottom of a cup ready for spreading the varo flat. 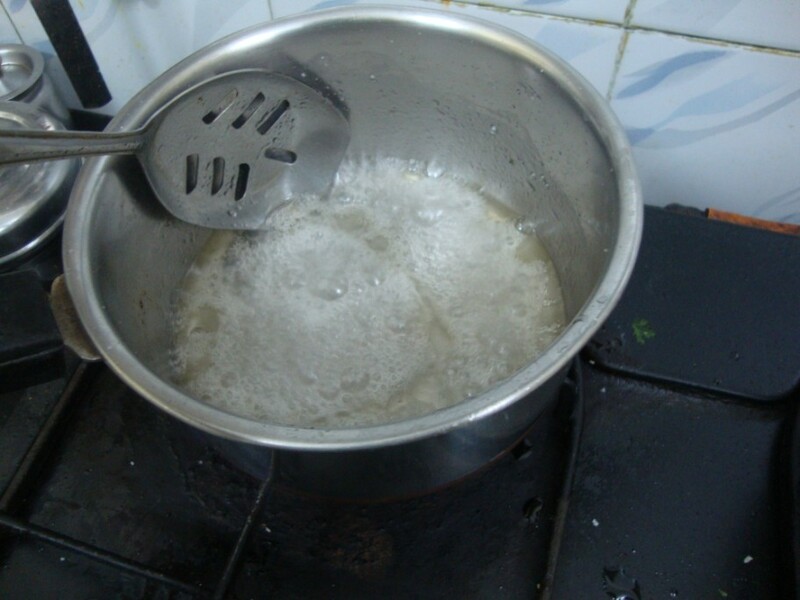 When the sugar water starts boiling, keep stirring with a ladle. Wait exactly for a minute and add all the chopped dry fruits, along with poppy seeds, copra to the pan. 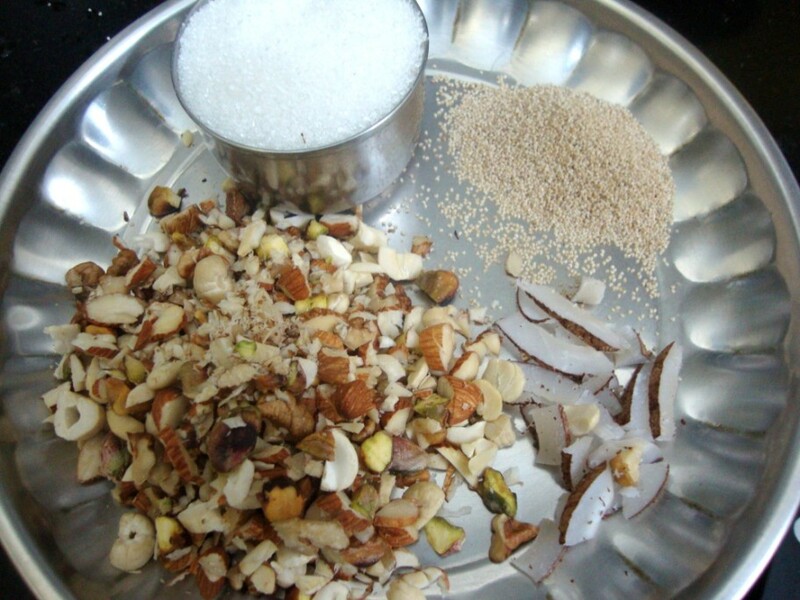 Quickly combine everything together so that the nuts are coated well. Make sure you don’t cook this for long. Should be about 1 -2 minutes and not more. Else the nuts will get burnt. When it is completely cooled, they easily break into pieces. Slice all mixed nuts.Copra, and Poppy seeds together. 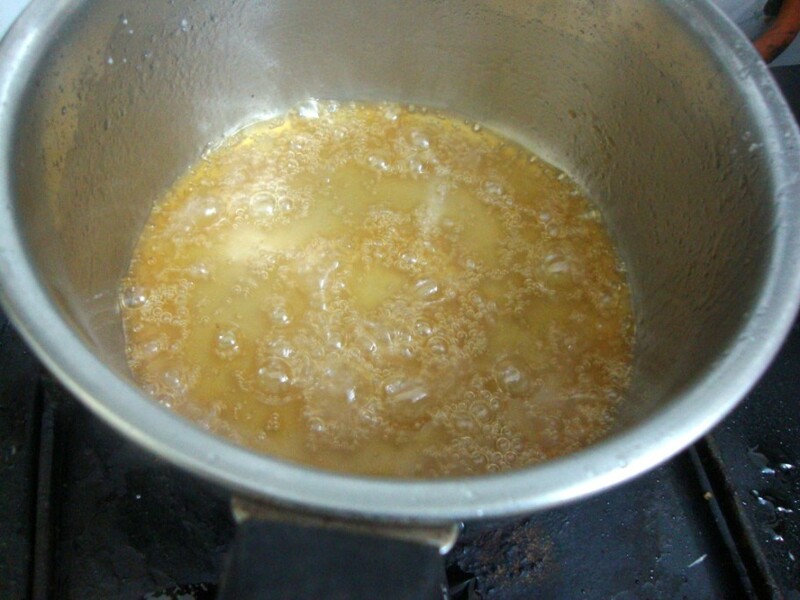 In a heavy bottomed pan, add ghee and sugar. 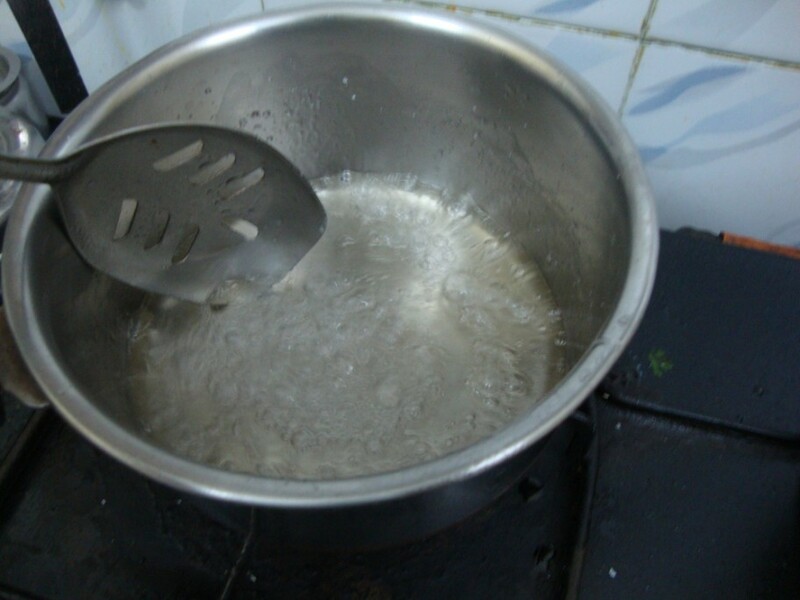 On low heat melt the sugar. 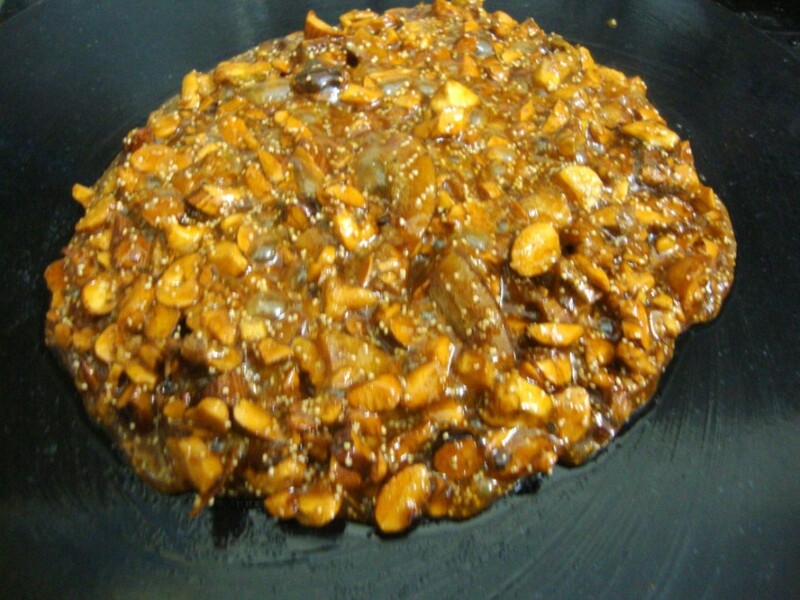 When the sugar is melted and caramelized to a light brown color add the sliced mixed nuts, Khus Khus,. Mix till nuts are coated well with the caramelized sugar. 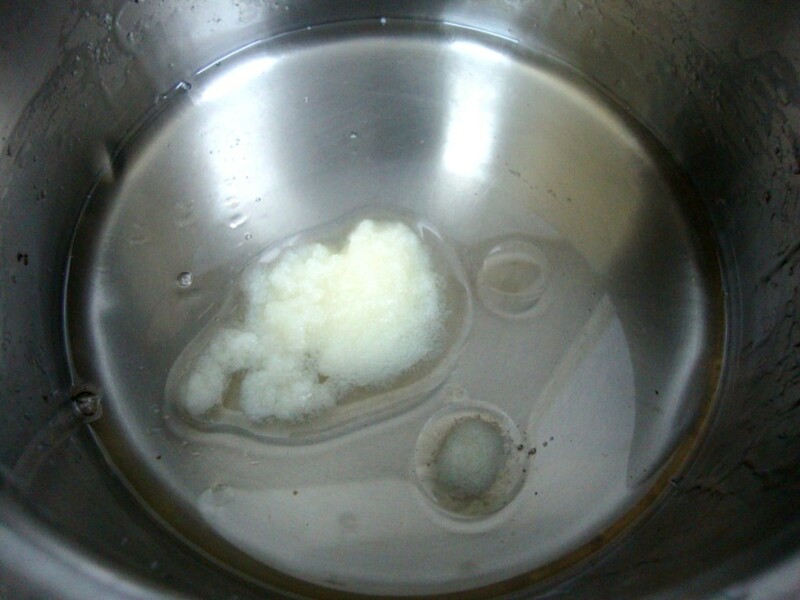 Pour this mixture onto the back of a thali/ greased plate or on a rolling board. Using the back side (flat side) of a cup, flatten the mixture like a thick chapatti or disc. You can use a rolling pin to roll the mixture. 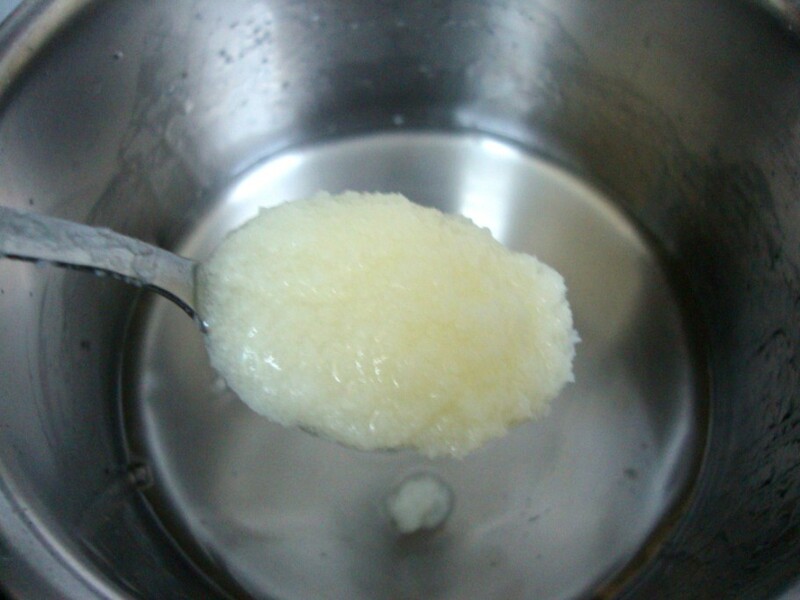 This has to be done very quickly as the mixture begins to harden as soon as it is removed from heat. When it becomes little cool, make square marks on top with a greased knife. Leave the rolled Varo to set for some time. Break into pieces and store in air tight containers. 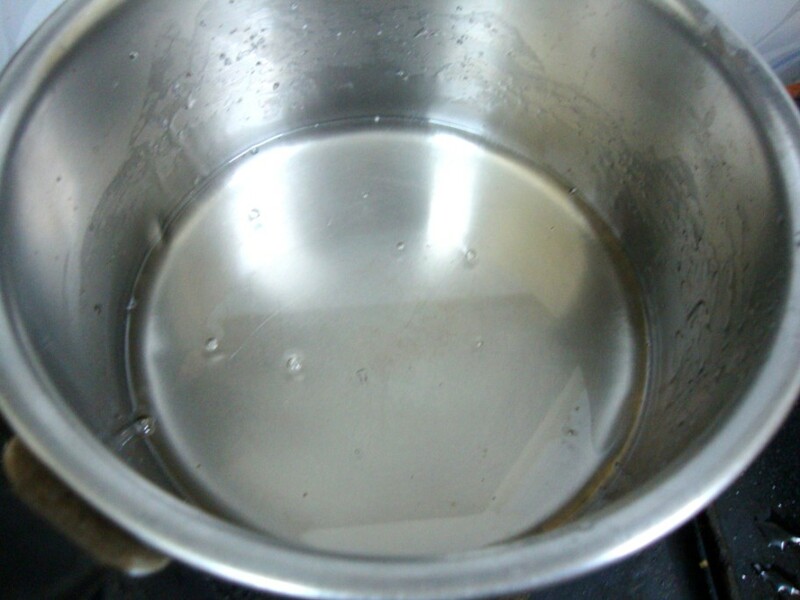 Prepare the surface on which you plan to roll out by spreading the oil. Sprinkle half of the poppy seeds evenly on the Oil. Keep a knife and rolling pin ready. Heat the sugar in a heavy bottom pan over a medium heat until it becomes caramelized – (it will become liquid and start to turn a golden brown – this takes about 5 minutes), then take the pan off the heat immediately and quickly stir the pistachio nuts and cardamom into it. Pour the caramel and pistachio mixture onto the oiled surface and quickly roll it all out until it is about 3mms thick (while it is still warm), and spread the remaining poppy seeds on top. 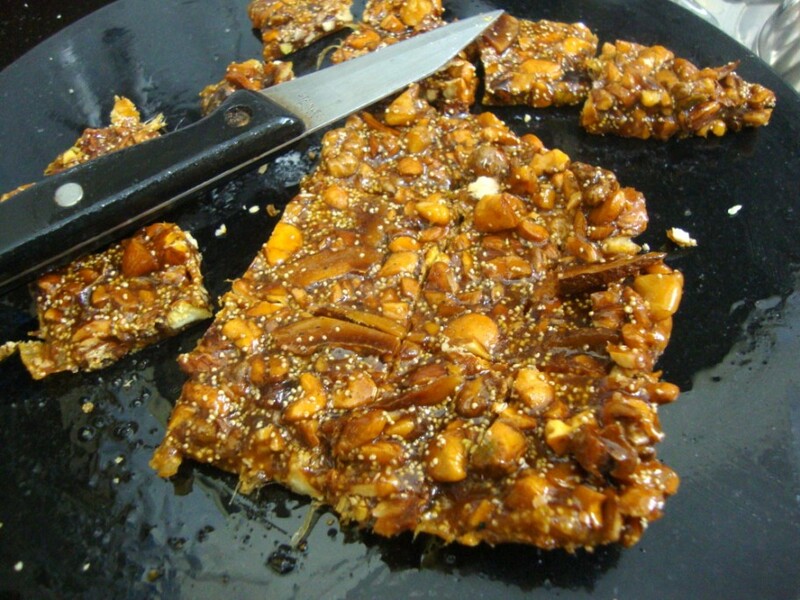 Then use a knife to cut it into pieces – hammer the rolling pin onto the knife to help cut the praline into 2 inch squares. To all my ICC members, please link your Varo post to Mr. Linky. Hi Srivalli,just linked mine to the post.Yours looks delish!! Missed again:( But am determined to make it the first thing when all is settled. Looking thro' members' sires makes me drool. Lovely fast and easy recipe that turned out perfect.Lovely choice. Your praline looks mouthwateringly delicious. 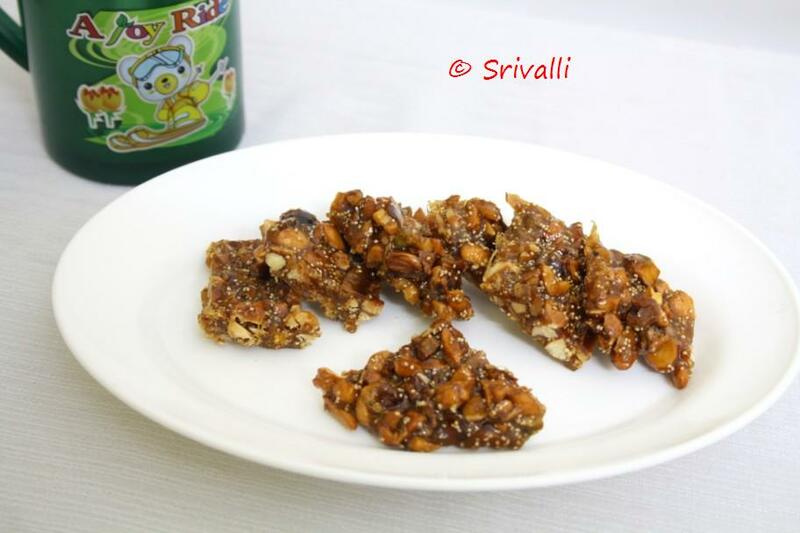 Easy to make and a healthy chikki valli!! but mine didnt turn out as golden as mentioned!!!! Dont know what went wrong!!! i have posted it, have a look and tell me!!!! Just posted mine. Will check back again to link it to Mr.Linky. The recipe was simple to prepare but had some difficulty breaking the varo. And photos are very helpful for new learner. Thanks. Waiting for the next challenge. It was easy and fast to make…equally fast they disappeared!…chikkis are a hit! Thanks for adding me again in the challenge just linked mine.delicious recipe we both enjoyed it a lot. I posted my link. It was a very good challenge. Enjoyed making and eating it! Awesome challenge Valli. Loved it.. Waiting for next month's Challenge. Thank You Valli. I enjoyed making this sweet. It was a hit!!! Thank you friends for the lovely comments..
Thankyou Srivalli for dropping by my blog .Your visit and comments are very much appreciated. I certainly hope you will return again soon. Having been participating in ICC for last 6 months this was one Challenge I particularly enjoyed.Thanks for posting it.Awaiting eagerly for the next challenge to be posted.I hope its something savory.